I’m pretty sure that on our first venture to the Southeastern part of Oahu (hiking the Makapu’u Trail) that my dad said it was his favorite part of the island — and I totally agree. 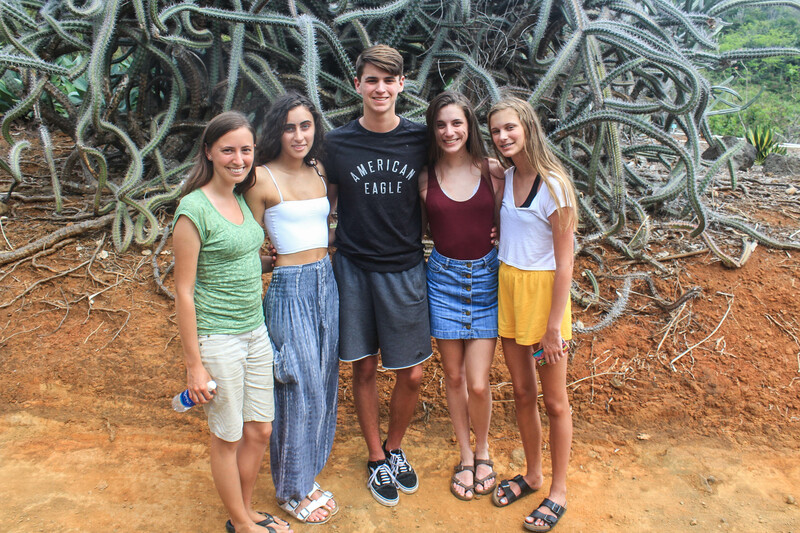 The rugged cliffs of the Ko’olaus, the dry, desert plants, and the rocky coastline are mesmerizing, and there’s no shortage of scenic places to take it all in. 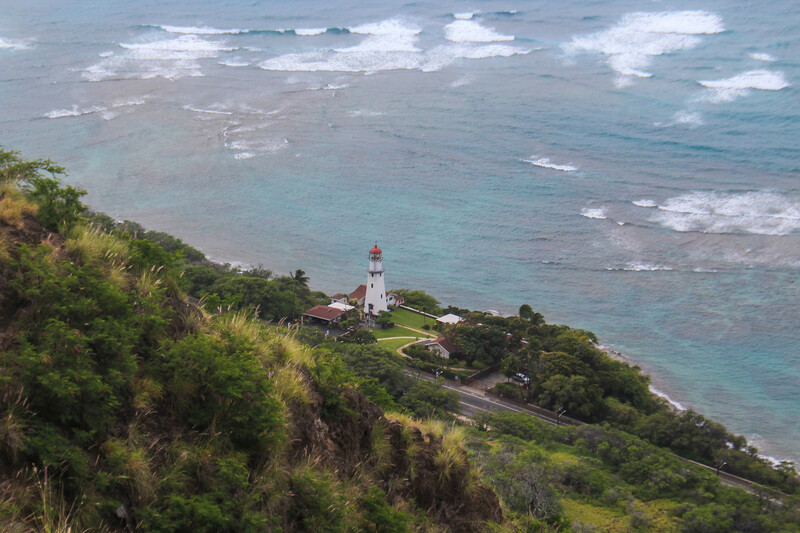 Because of this, we spent several other days hiking in this area, starting with Diamond Head. 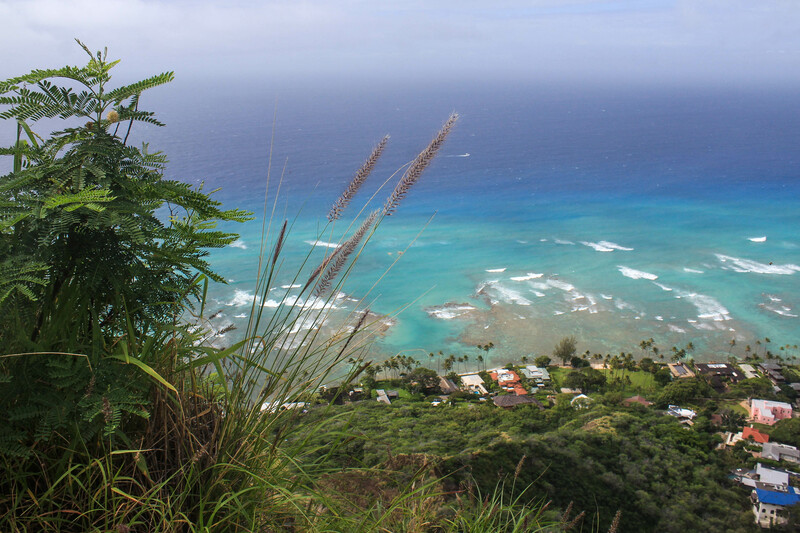 Diamond Head is possibly the most visited, most hiked trail on all of Oahu. 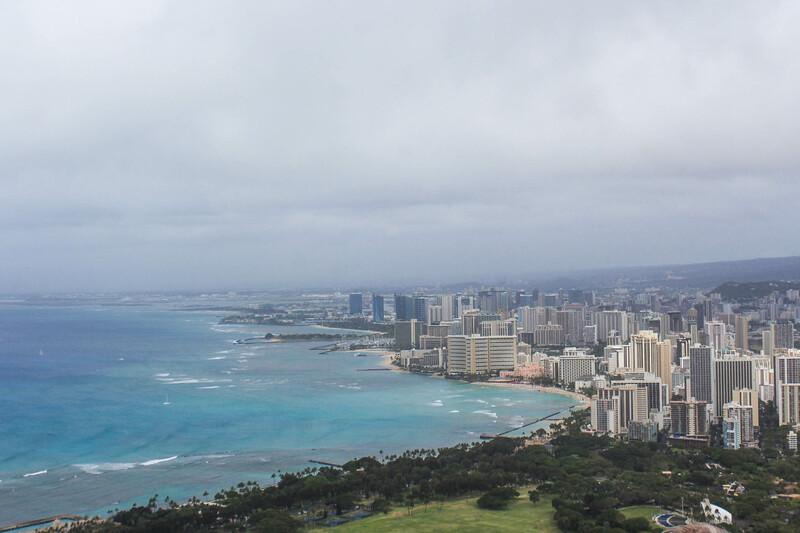 Its proximity to Waikiki, easiness of a hike, and views of the city all contribute to its popularity. Curtis and I had avoided it because of the crowd it draws, but since I had my family here and was already hitting the top touristy highlights, I decided it could be worth a shot. We showed up on a Wednesday morning, and sure enough, there were people everywhere. We first drove into the crater to try parking there, but the lot was full so we turned around and managed to find free parking not too far from the park entrance. People were walking in from all directions, cars and buses going in and out of the park. The trails had a constant stream of people heading up and down. But don’t be mistaken — just because it’s so popular doesn’t mean that it’s fool proof. In fact, just days before, the local newspaper featured an article on the front page about the number of helicopter rescues that happened in the months of January and February 2018 — and Diamond Head ranked #1 with 59 people airlifted from the park. I want to say that it was hard to believe, but after living in such a popular and touristy area and seeing the type of people that frequent these hikes, I can see how it’s possible. We saw all types of people on this hike — people of all ages, ones who were prepared with water and proper footwear, ones that looked like they were locals that hiked it frequently, ones that carried little to no water, and even people in dressy attire and fashionable shoes, clearly scheming a photoshoot at the top. I’m fairly certain that most people could do it with adequate water and proper attire, taking the time they need to walk up…but that doesn’t necessarily mean that everyone should do it. We made our way back down and reached the car right as it began to rain. We were a little tired from the hike, and the perfect solution for that is food! There was one local place nearby that I wanted to try, so we drove North to Leonard’s Bakery. I had heard many rave over their malasadas, or Portuguese doughnuts, and just had to try — luckily they didn’t disappoint! Well, I should note that one of my sisters claimed that they “weren’t worth the calories” but if you’re looking for the perfect ratio of airy, doughy center to fried and sweetened coating, this is one you don’t want to miss. They serve them hot, and it’s best to enjoy them immediately! On our drive back, we stopped again at Halona Blowhole and the small cove nearby. It was overcast and too chilly to swim that day, but this stop proved to be a hit once again. Friday, 3/16 was my family’s last full day on the island, and it also happened to be my sister Sarah’s 17th birthday! What better way to celebrate than vacationing in Hawaii? 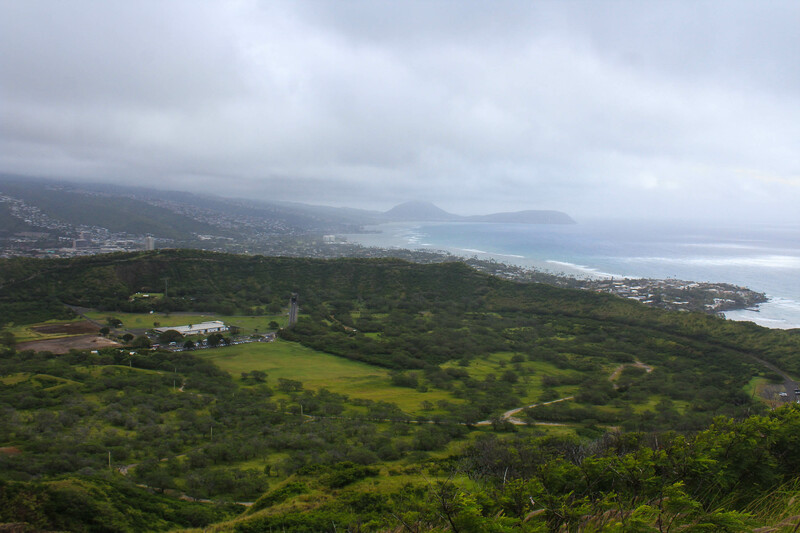 We went out for brunch at Over Easy in Kailua, then drove down to Koko Crater Botanical Garden for another walk around the loop trail. 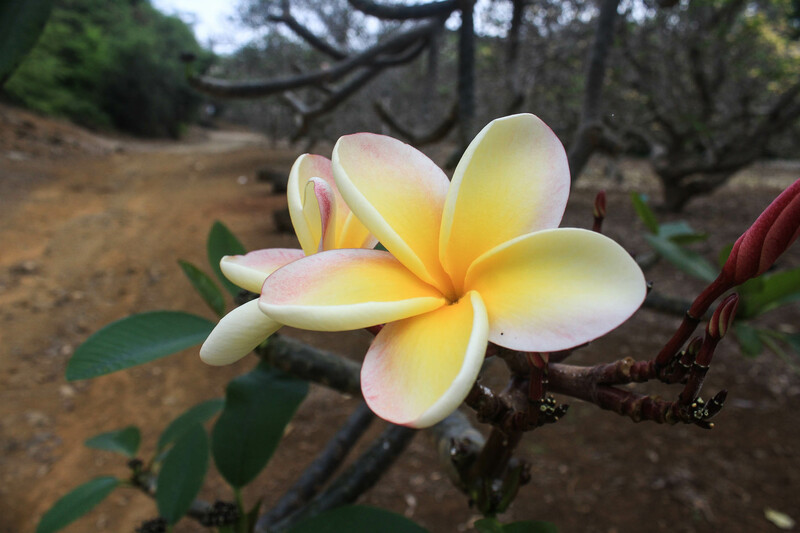 I’m excited to take Curtis back in a few months when the plumerias are in season because I’m sure the plumeria grove will be gorgeous then — right now, the flowers are just beginning to bloom, and you can see some good ones here or there. I’ve heard that they flourish the most in the summer. We wrapped up Sarah’s Hawaiian birthday celebration with another trip to the beach and a pizza party at my house.